Lift heavy loads with ease and efficiency. Easily pass through standard single or double doors (compact dimensions and folding guardrails). These machines are electric self-propelled scissors that offer outdoor functionality on firm, level surfaces, providing accessibility for a wide variety of applications. Low-emission electric scissors deliver a quiet, convenient method for operation in sound-sensitive environments like office buildings, shopping malls, hotels, schools and more. 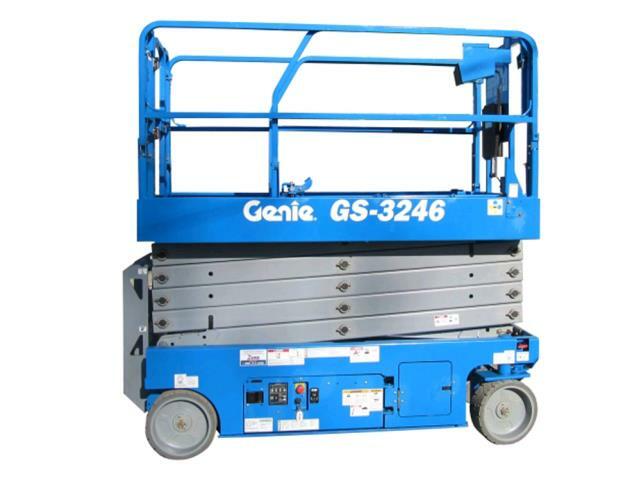 * Please call us for any questions on our scissor lift 9.8mt 3246 hire & rentals, serving Perth & Western Australia.